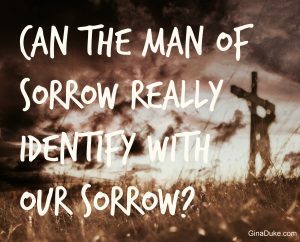 Can the Man of Sorrow REALLY Identify with Our Sorrows??? This is an important question because it pushes us to make an important decision about our relationship with Christ. Can the One who paid His taxes with a coin from the mouth of some random fish and invented “Call Ahead Seating” at the Last Supper really understand what we are going through? I’ll never forget when my brother-in-law died in a freak accident. Over and over I kept telling myself how much I didn’t want his two sons to have to go through this and go through life without their father. It was awful, to say the least. When we laid Mike to rest, I noticed a monument by his grave of Jesus kneeling and its inscription read, “The Garden of Gethsemane.” I thought this was an odd monument because I am more accustomed to those with Jesus standing with open, welcoming arms or seeing daunting chairs that reminded me more of the judgment seat than the mercy seat. So, this one of Jesus kneeling in prayer did not at first glance seem to be a good fit for a cemetery. But then the Holy Spirit interrupted my thoughts and drew my attention to the fact that Jesus was doing the very same thing I had been doing – praying not go through something so painful. More than that, He had received a No from His Heavenly Father. Whether our family liked it or not, we were going through with this dreadful and sorrowful season, and so was He. And He did. You see, when we suffer, we can feel wounded by God and that misguided thought can deceive us into thinking that God doesn’t love us. That’s a lie. It was Naomi who after the death of her husband and sons renamed herself Marah (a.k.a. Bitter) because she felt afflicted by God. After my own season of feeling afflicted by the Lord, I finally realized – Where else can I go but the Lord? No matter if I believe that God has failed me, Where else can I go? He’s still the best thing I’ve got going!!! Who else loves me more than the Lord? Who else has died for me? Nobody! If only I had settled this matter before my season of despair. I urge you to do this today. If you can, you will save yourself a ton of grief in the long run. I promise! Remember, Jesus is acquainted with grief, including our own. 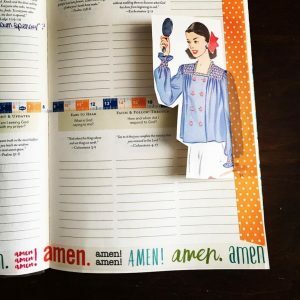 Now, on to this week’s She Prayer Journals Weekend Workshop! 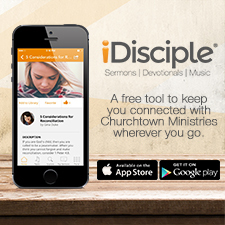 for creating a lifestyle of faith!